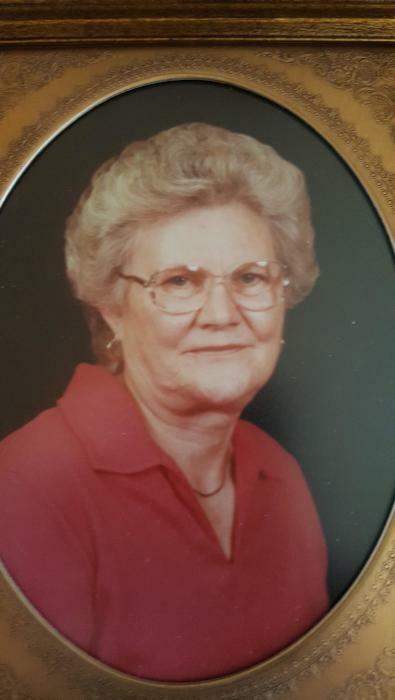 Jessie A. Martin, formerly Hudson, died peacefully at the Dawson Manor on February 13, 2019. She was born September 3, 1917, to the late Charlie and Betty McCoy Hardy. She graduated from Yeomans School at the age of seventeen. Some may remember her as "Mema" from The Crossroads Store in Leary and Cordrays Mill. She also worked at Coleman's Drugstore and The Dawson Pharmacy in earlier years. She was predeceased by her son, Ross Hudson, daughter, Peggy Pritchard, daughter- in-law, Betty Hudson, son-in-law, Dan Grady and grandson, Michael Grady. In addition, she was preceded in death by her two sisters, three brothers and their spouses. Mrs. Martin is survived by a son, Kenneth Hudson of Ball Ground, Georgia and daughters, Judy Grady of Watervliet, New York and Jo Howe of Rotterdam Junction, New York. She had nine grandchildren, sixteen great-grandchildren and three great-great- grandchildren. Visitation will be held at Harvey Funeral Home from 5:00 to 7:00 p.m. on Monday, February 18, 2019 and a graveside service will be held on Tuesday, February 19, 2019 at Hebron Baptist Church Cemetery at 11:00 a.m. The family would like to acknowledge the Dawson Manor for the loving care she received while residing there. In lieu of flowers, donations may be made to Hebron Baptist Church Cemetery Fund.